A few weeks ago1, thanks to the munificence of our respective employers (two full days off!) 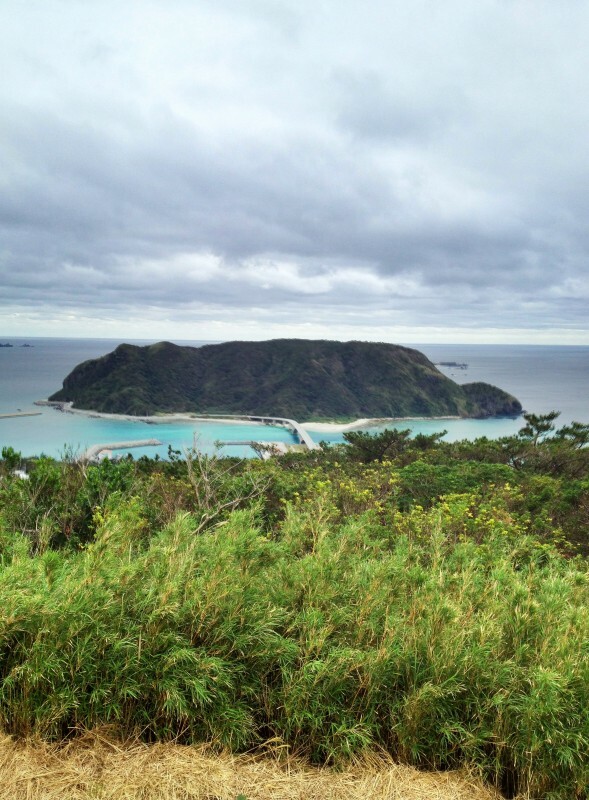 and some incredibly cheap last-minute plane ticket, Irina and I managed to escape Tokyo’s Winter for a four-day stay in Okinawa. 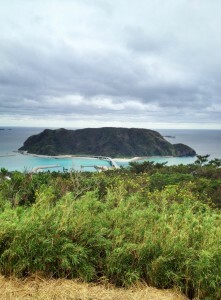 February is unambiguously the worst time of the year to visit Okinawa, with low temperatures and frequent rain making it difficult to enjoy the full extent of its sandy beaches and pristine oceans. On the other hand, that yearly low is still a good 15C over Tokyo’s own temperatures: hard to beat with a 3h flight. In the end, despite delivering on its promise of middling weather, our stay was so enjoyable that we are already contemplating a repeat later in the year. 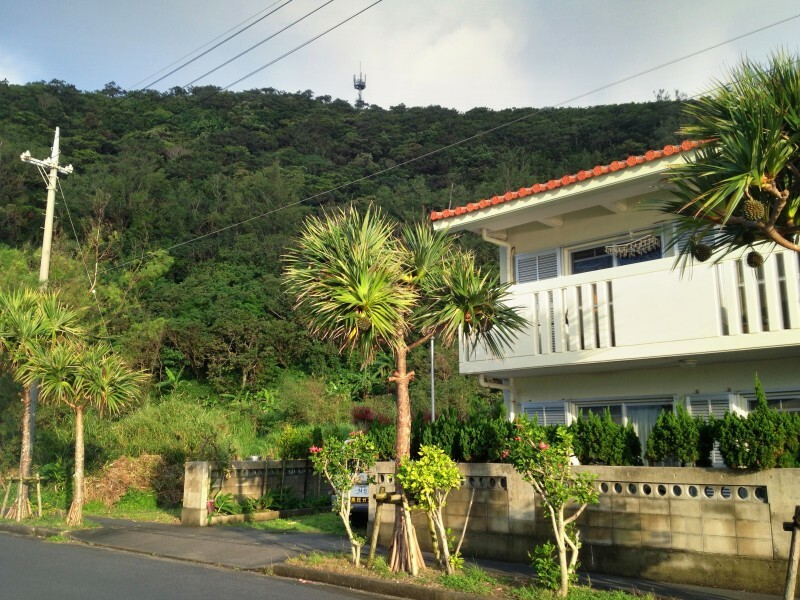 Despite being (nominally) a fully-integrated part of Japan, Okinawa is nothing like even the most remote regions of the mainland: different culture, different attitudes and (obviously) very different landscapes. 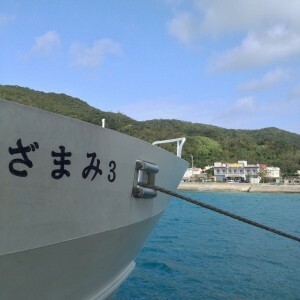 Landing in the evening, we spent one night in a cozy Naha guesthouse before setting our sights for much smaller (and less city-like) locales: a one-hour boat ride took us to Zamami islands: a handful of tiny coral islands making up half of the small Kerama archipelago with Tokashiki. With a combined population of about 1000 (600 on the bigger of the three inhabited islands), the place is as close as one gets to a desert island without having to survive the wreckage of a 17th century ship. OK, perhaps not quite so remote: plenty of Wifi in the (two) villages and cellphone reception on at least half the island. More importantly, it is impossible to overstate how incredibly crystal blue the water is. Even on the rainiest cloudy days, merely looking out to the lagoon made us feel like putting on a swimsuit and running to the beach. We spent our first night on the smaller island of Aka, in a diving shop doubling as minshuku (the case with practically all local lodging options), taking walks around the island, enjoying the sights and eating some of the most delicious, freshest sashimi and grilled fish we have ever had (caught by our hostess herself). On the next day, we took the small shuttle boat to the (slightly) larger island of Zamami, where we stayed the following two nights at the nicely laid back Nakayamagwa hostel. A whole day of overall rainy weather actually made for a welcome occasion to catch up on our reading list, relax and generally not do anything. 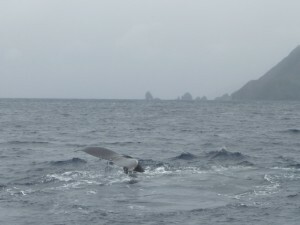 On our other day, we did however manage a whale-watching excursion: the main sightseeing attraction during the “cold” February-March Winter months. Zamami’s Whale Watching Association organises two daily tours, backed by the standard efficiency one has come to expect of anything Japanese and sightseeing-related: each day starts with half-a-dozen members dispatched to all three corners of the archipelago, surveying nearby waters for the telltale whale-tails, before reporting to HQ with exact coordinates to which the sightseeing boats shall be sent. The boats themselves (about 2-3 for each tour, plus a couple even tinier private boats generally tagging along) are small repurposed fishing boats with just enough room to fit 20-some whale-watchers each. 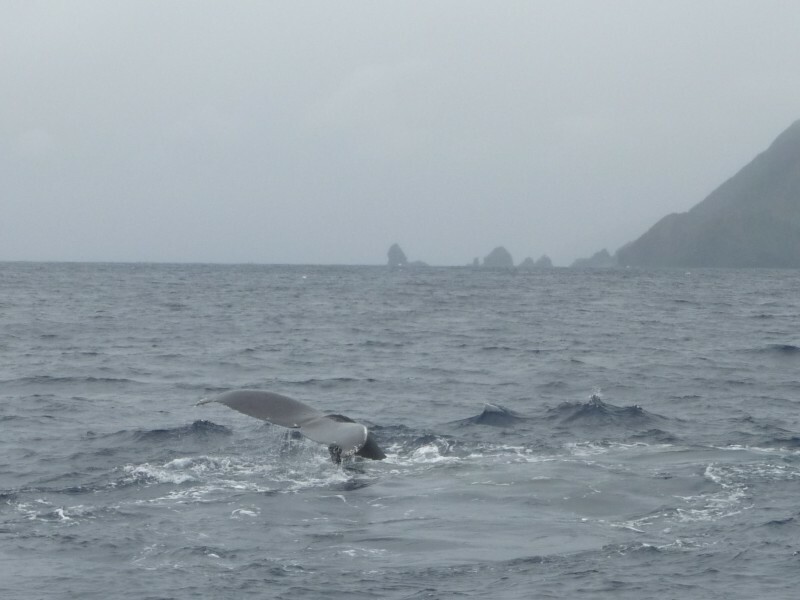 After a mini-lecture on the habits, history and even Japanese etymology of the particular whales we were about to observe2, we set sail (so to speak) on fairly agitated waters toward the last spotted location of the cetaceans. After about 30 minutes (and with Irina a few shades whiter), we spotted the first blowhole geysers at a small distance, then for the next hour or so, we were basically riding along with the whales (apparently 3 in total). Every couple minutes, a creature would make it to the surface, splash around some, and dive back in. By then, the guide had spread all the punters between the front of the boat (basically a flat area washed by the waves, circled by a tiny metal rail 30cm above it) and the more comfortable (but even more shaky) driving cabin at the top. On more than a few occasions, the magnificent beasties would pop up nearly close enough to touch the hull, and definitely close enough to send it swaying dangerously. After an hour of oohs and aahs (well-deserved: these things are truly impressive from up close), we made our way back to shore, to the relief of Irina’s stomach. 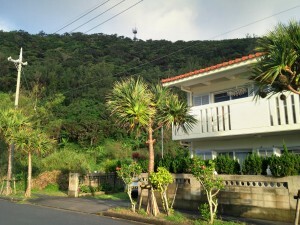 Our last day was of course also the sunniest, giving us a glimpse of what true Summer might be like on the island. Having a couple short hours to kill in the afternoon between our ferry back to Naha and our flight back, we opted to check out some of the more touristy fares on offer on the main island, and went for a tour of Okinawa World: suitably cheesy (and packed with tourists from the whole Asian continent), but a chance to see firsthand how they make habushu (doesn’t seem very pleasant for the snake). On the plane back to our Tokyo Winter wonderland and its remaining months of Winter, plans were already being drafted for a triumphant return and possible Summer camping trip on Zamami (this time with considerably more swimming). With a bit of luck, you can expect to see more tropical pictures up here before long. Next Next post: Good Bye Maggie, and Thanks for Nothing.